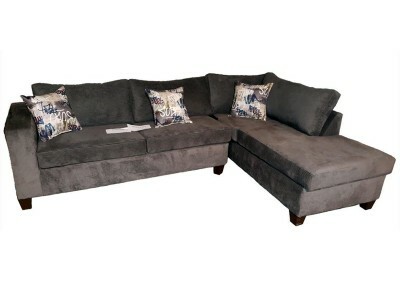 This Sectional is completely customizable. Pick your style, pick your fabric. Solid wood constructio.. If you love the cool look of leather but long for the warm feel of fabric, you’ll find the Francisco..
With supremely padded back, seat and arm cushions, the Hogan 5-piece sectional is the hero of comfor.. Sometimes clean and simple is simply beautiful to behold. That's the case with the Hodan Loveseat. I.. Plush yet supportive cushions offer both indulgence and structure, while pretty rolled arms ro..
Includes 4 pieces: right-arm facing corner chaise, corner wedge, armless loveseat and left-arm facin..
Color: WhiteStyle: ContemporaryFrame constructions have been rigorously tested to simulate the home ..
With neatly tailored box cushions and track arms, this microfiber upholstered ensemble is supr..
Talk about fine lines and great curves. 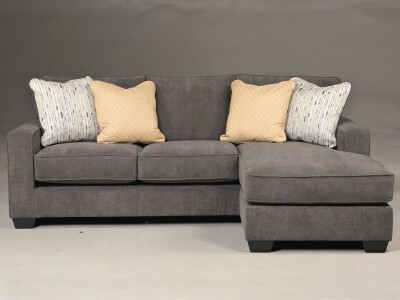 That’s the beauty of the Nancy 2-piece sectional—made t..
Low back seating and wide track arms make it ultra cool. Just enough soft padding in all the r.. This affordable alternative to full-leather provides the same pleasing feel and look of cowhide leat..
Frame constructions have been rigorously tested to simulate the home and transportation environments..